A big (and brief) thank you to the volunteers last night who worked tirelessly to transform the shop. Ian, Oliver and Simon, Guy, Matt and Tom and especially Paul and Karen who stuck with us until approximately 1am building tables, unpacking books, arranging displays. Everyone worked incredibly hard in very muggy conditions. 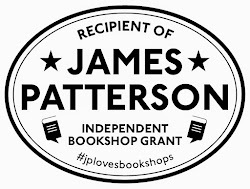 The shop looks like a bookshop - it's incredible. We do not know quite what to expect today - but we'll try to tell you all about it later this evening. I hope that it all runs smoothly - it looks as if you will be having good weather for the bubble machine. Sorry I can't make it today, but I will come by soon. I'd thoroughly recommend a visit. Well done! I hope you have a lovely day and sell lots of gorgeous books. 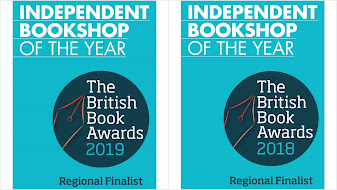 As the previous owner of Wenlock Books said when he retired; to be a bookseller is a great privilege... it is; enjoy it!